Today was another catch-up trip, this time focusing on Jerusalem in the Roman and Byzantine periods, i.e. from the 1st to 7th centuries CE. 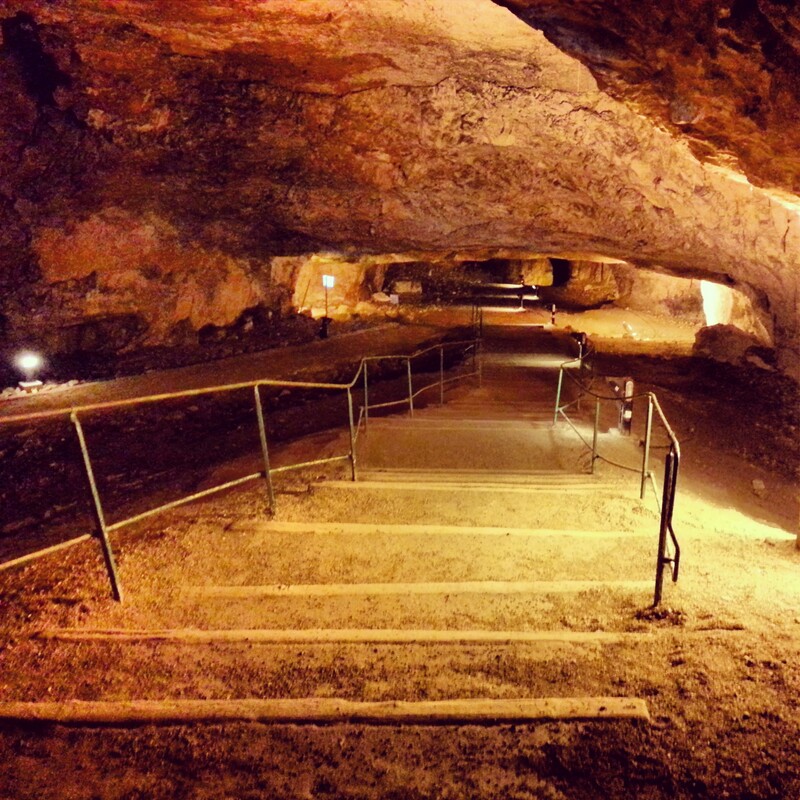 However, because of its location, we actually began the day at the site known as Zedekiah’s Cave (also known as King Solomon’s Quarry), just next to the Damascus Gate. It is a site I have passed several times but never visited; it looks singularly unimpressive from the street. On entering, however, you realise that the small opening widens out into a jaw-droppingly huge cavernous interior that was a quarry for the famous Jerusalem limestone from either the 1st or 2nd temple periods. If it was indeed from the first temple period (this is disputed), then maybe King Solomon used these quarries to construct his temple, hence the site was named King Solomon’s quarry and became a popular site with Freemasons who identify their origins in the builders of his temple. A Jewish tradition also developed that this was the escape route of King Zedekiah from the Babylonian destruction of Jerusalem. 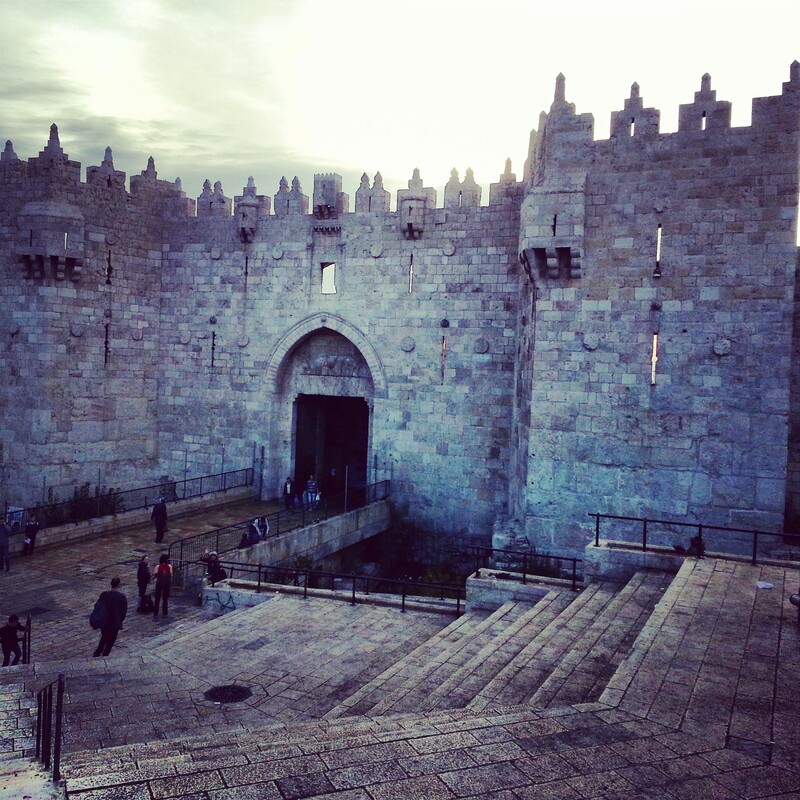 Exiting the cave, we proceeded to the Damascus Gate (in Hebrew the Shechem, or Nablus Gate). This grand structure was constructed by Suleiman the Magnificent, but below, to the left, it is possible to see an arch belonging to a Roman gate from the 2nd century. There are also remains here of the Crusader gate. Heading into the Old City, we arrived at the Church of Alexander Nevsky. Owned by the Russian Orthodox church and named for a major Russian hero, this site is also important as archaeological excavations prior to construction unearthed remains of an arch, steps and grand columns. Although the dating of these structures is disputed (Roman, Byzantine, or perhaps running through both periods) it seems that here was the grand entrance first to the pagan temple to Aphrodite, constructed by Hadrian, which was later replaced by the Church of the Holy Sepulchre by the Byzantine emperor Constantine the Great and his mother Helena, in the 4th century. 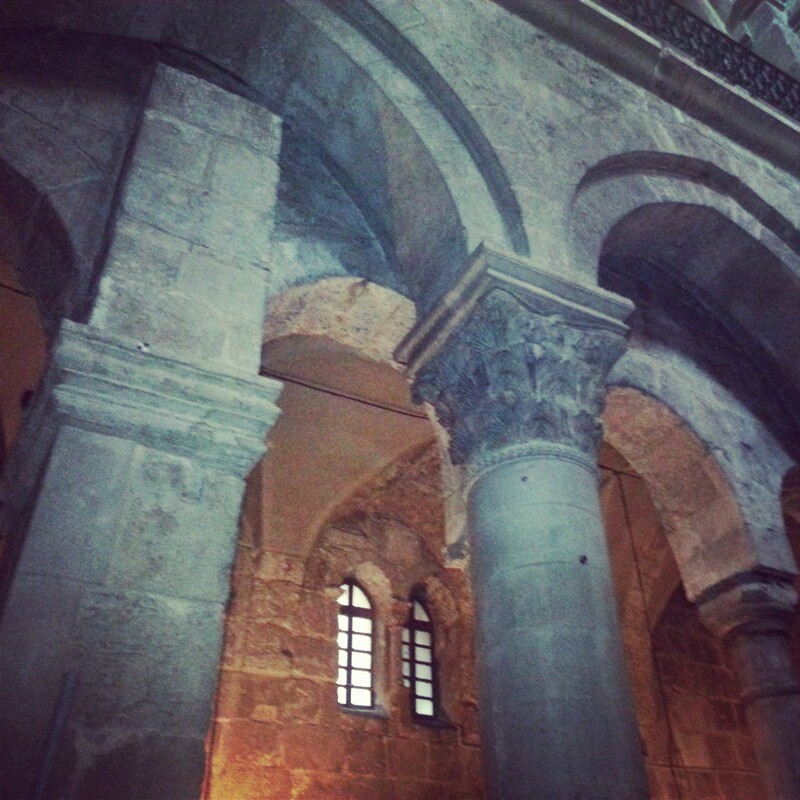 It was therefore only appropriate to continue to the modern day Church of the Holy Sepulchre, which is no longer accessible through its original Byzantine entrance. 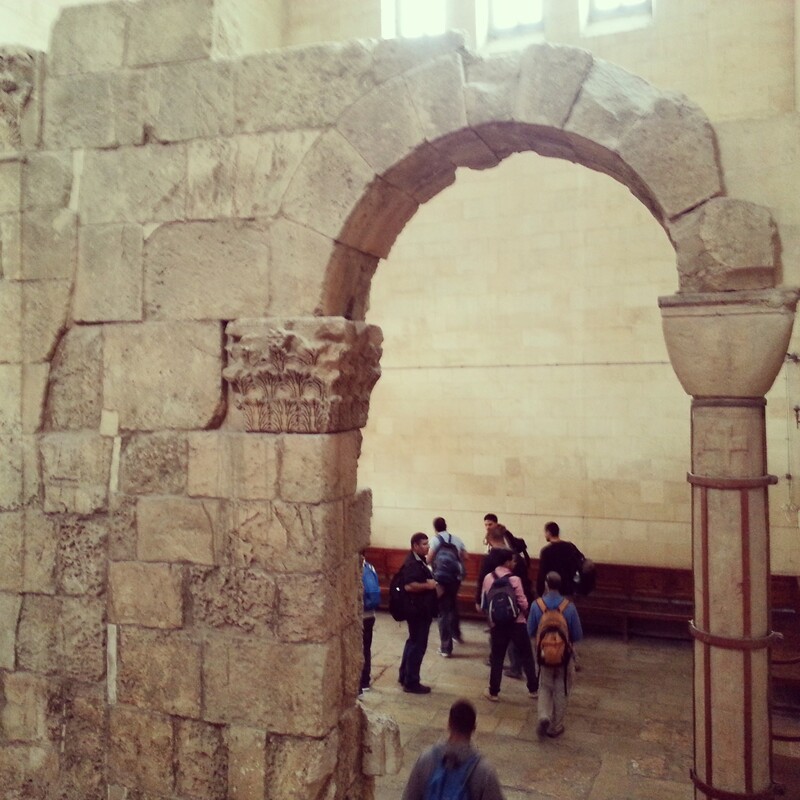 We focused on the areas of the church that were constructed during the Byzantine period, visiting the Chapel of Joseph of Arimathea, located behind the burial tomb of Jesus; noting the arches built by the Byzantine emperor Monomachos as part of his reconstruction of the church following destruction by the Muslim rulers in the 11th century. We also descended to the chapel of St Helena, into the foundations of the original basilica structure, noting the foundation walls and hearing the story of pilgrim graffiti which is hidden behind the Armenian altar. 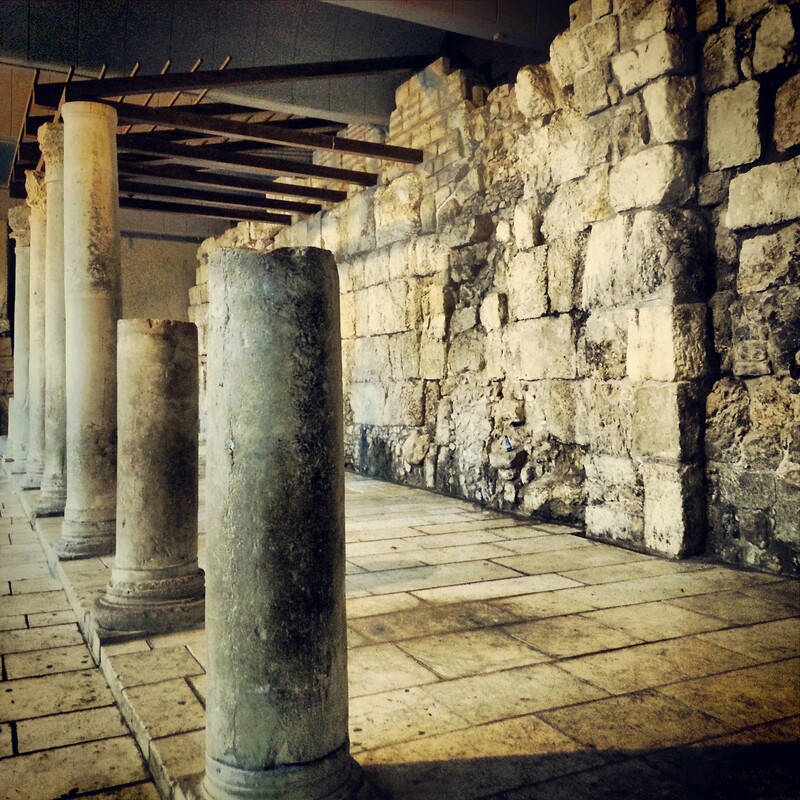 Exiting the church, we visited the cardo in the Jewish Quarter of the city. The remains here are from the Byzantine period; we used an enlarged version of the Madaba Map to learn about the main streets in Jerusalem during Roman-Byzantine rule (there were two cardo streets running north-south in the city) including different theories about where the city gates where in the different periods. We concluded our day at the ruins of the grand Nea Church, constructed by the Byzantine emperor Justinian and in fact the largest church to have ever been constructed in the Byzantine period, anywhere in the world. 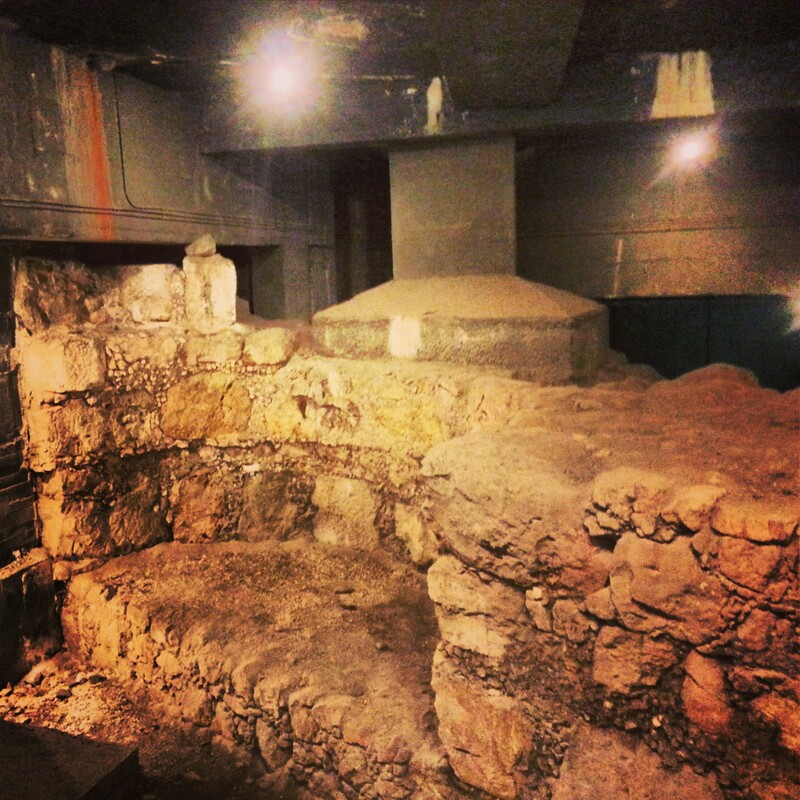 Today it is only possible to see remains of the apse, but the tale of the search for the remains of this church over the decades and its eventual discovery was quite the adventure. So concluded our day with the Romans and the Byzantines!